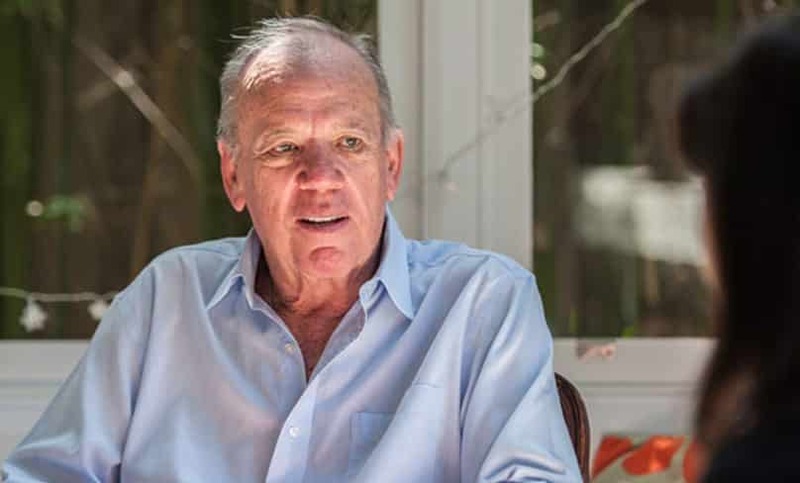 In the tributes paid to the legendary broadcaster Mike Willesee on his recent death, there were many references to the recovery of his Catholic faith. This took place over 15 years ago, following two startling experiences – his survival of a plane crash in Kenya and his witnessing a woman suffering the stigmata of Christ in Bolivia. The TV report on the stigmata was called Signs from God. The program was widely watched, viewed in America alone by more than 28 million people. 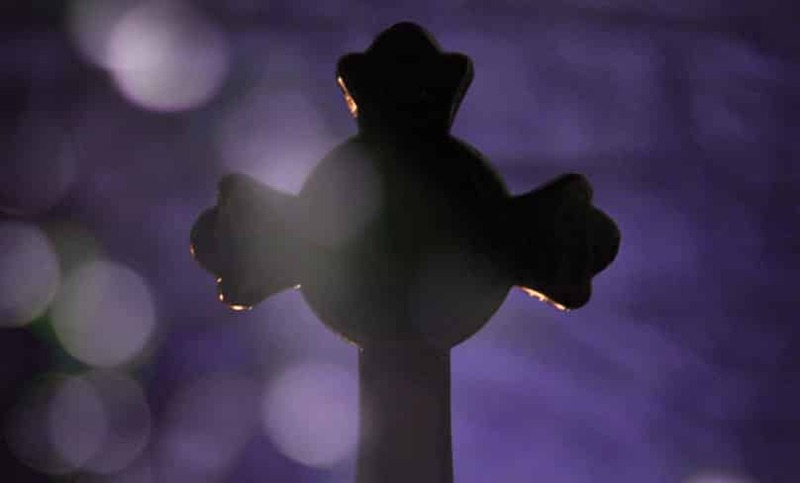 It may be thought to hold a special significance in the season of Lent, on the eve of which Mike Willesee died, for the 40 days of Lent are designed to serve as “signs from God”. Various Lenten practices convey these divine signs as counter-cultural appeals. They fly in the face of present-day cultural assumptions and expectations. No doubt the most emphatic challenge is the call to self-denial. It is difficult to imagine an exhortation that is more confronting to present-day sensibilities than the notion of self-denial. Our culture prizes and promotes self-absorption, to the point where self-denial appears life-denying. It can be seen as an unbearable rebuke of our favoured identities, whether defined by gender or race or class. The prevalence of identity in today’s public discourse has had many political effects, but an unnoticed cultural consequence is that it reinforces a self-centredness that baulks at any criticism, especially self-criticism. And yet our culture sends confusing signals on indulgence and discipline. At one level, it is deeply resistant to the idea that depriving ourselves of the pleasures of this life might have deeper, spiritual significance. The thrust of our society is towards consumption, which is marketed as a prime and incontestable value; and thus we are constantly urged to be indulgent rather than to do without; to satisfy every desire, not to accept deprivations. We are, for instance, tempted more and more to a worship of food. Popular TV programs such as “MasterChef” invest the preparation of food with an almost sacramental reverence, and the attainment of excellence attracts the most mouth-watering praise. Yet at another level, we are under social pressure to restrain ourselves, especially by avoiding foods and drinks that are thought to be injurious to our well-being. The high incidence of obesity, even among the very young, generates constant calls for dietary discipline and the overcoming of bad eating habits. A pathetic irony is that such publicity often coincides with advertisements about the poverty and suffering of our neighbours, especially in Asia and Africa, who have little chance of indulging the enjoyment of food of those living in the West. A consumerist culture faces an intensely difficult shift – from the indulgence of appetites, on the one hand, to the curbing of appetites, on the other; and then elevating that understanding so that the spiritual significance of such a change is recognised. “Giving up something” is then seen to be of spiritual benefit, because it creates genuine freedom in our lives by releasing us from total dependence on material gratifications. It is this fundamental insight that represents the counter-cultural signs of Lent. In this penitential season the Church highlights the pathways to spiritual freedom. It encourages us to face a challenge now seen as almost perverse – that freedom flows, not from physical indulgence, but from material detachment and self-denial, in imitation of Christ fasting for forty days in the desert. The paradox of freedom, we are encouraged to understand, lies in practices of hardship, so often the means by which true love is expressed, rather than indulgence. There is a decisive difference between dieting and fasting – between the dieting enjoined by a secular culture and the fasting urged for religious reasons. Dieting is about denying oneself of things that are not good for us – at least in excessive quantities. But fasting is about denying ourselves of things that are good for us – food and drink that we enjoy in moderation, but restrict or abandon during periods such as Lent and Advent, in order to prepare our souls, not just our bodies, for a greater feast. How do we find the right balance? Can we reconcile the enjoyment of the goods of this earth, which are part of our human nature sanctified by the Incarnation of Christ, with the control of these goods for the sake of a higher good? The answer lies in the pattern of the Church’s liturgical year, based as it is on the rhythms of fasting and festivity. The small sufferings of Lent prepare us for the rich celebration of Easter, and the self-restraints of Advent for the special joy of Christmas. And this, despite the practical lapses with which we are all familiar – wryly expressed by the American theologian Janet Smith, that, when Catholics feast, they feast – and when they fast, they cheat! How much more mocked are the counter-cultural signs of Lent – except for the promises of resurrected life at Easter!